Senior citizens are living much longer today, and the average amount of time spent in retirement is now more than 20 years. At the same time, many people do not have sufficient retirement savings to meet their needs throughout their golden years. In order to meet their needs, some older adults consider returning to the work force on a part-time basis. Other older adults simply want to work on a part-time basis so that they can contribute and feel a greater sense of fulfillment. 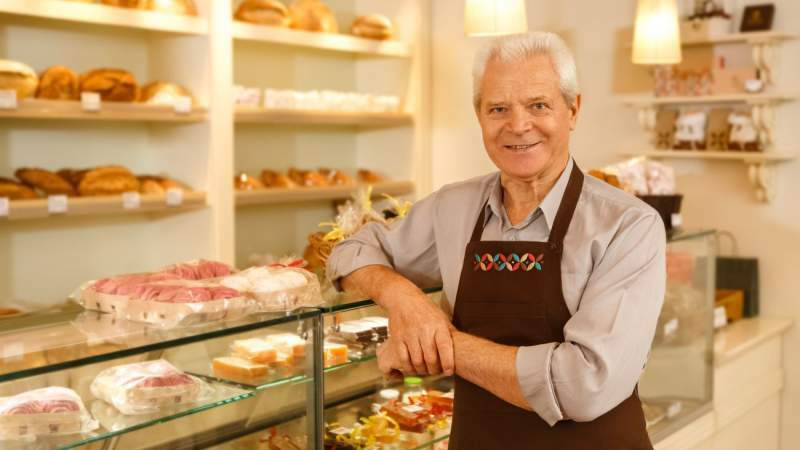 Whatever your reasons might be for thinking about getting a part-time job as a senior citizen, there are several different types of jobs that can allow you to use the skills that you have learned over your lifetime. Working at one of these jobs as an older adult can help you to stretch your dollars further in retirement while also letting you enjoy the stimulation that working can bring. If you have raised your own children or have held jobs in education or other related fields, you can put the skills that you have learned to use as a childcare provider. Some older adults babysit on a part-time basis while others apply for licensure to run childcare centers in their homes. Whichever route you choose to take, caring for children can be a very rewarding experience. Many parents need help with childcare, and they may be happy to find an older adult who they can trust to watch their children. If you want to be a part-time childcare provider during your golden years, it is important for you to make certain to get your CPR and First Aid certifications. These pieces of training are available through the American Red Cross and local hospitals. Once you have the certifications that you need, you can advertise your services online, in your local paper, and by word-of-mouth. If you want to open a childcare center in your home, you will need to check with your state to find out what the licensure requirements are for home-based childcare businesses. If you have a background as a teacher or a college professor, an excellent job for you during your retirement years may be to work as a tutor. Students often need help to improve their grades and to prepare for tests like the ACT or the SAT. If you are fluent in a foreign language, students of all ages might want your services to help them to become more proficient in the languages that they are studying. It is possible to work as a tutor through your local college or university. Some tutors also advertise their services through local newspapers and online advertisements. Finally, you might be able to tutor from the comfort of your own home online. There are a number of different tutoring sites that connect students with tutors in a broad variety of topic areas. According to the U.S. Bureau of Labor Statistics, the median wage for a private tutor is $17.47 per hour. Many skills translate well into a part-time job as a retail worker. If you are someone who enjoys helping others and talking to people, retail work might be a desirable choice as a part-time job during your retirement years. Many big box stores need part-time help around the holidays, and it is also possible to obtain a position as a part-time retail worker year-round. You also can think about other settings beyond big box stores. Working as a retail worker in a local boutique or at the gift shop of a national park can offer you the ability to earn some extra income in a relatively stress-free environment. If you love animals, you might enjoy working part-time as a pet sitter. Many people need people to watch their pets while they are at work or are away on vacation. Your skills in caring for your own family and pets can serve you well in this role. Pet sitting may also require you to do related tasks such as walking dogs. You can place advertisements on community bulletin boards or in your local paper to offer your services as a pet sitter. There are also some apps available that match pet owners with pet sitters, so you should sign up with them to gain access to more potential clients. Finally, make certain that you do not limit yourself to one type of pet such as dogs or cats. You can gain access to more pet sitting jobs if you advertise that you are willing to pet-sit for all types of pets, including birds, cats, dogs, and gerbils. If you have a great job that you enjoy but are ready to cut back on your hours, you might find that working as a freelance consultant in your field is a great choice for you. Some consultants continue to do work for their employers on a part-time basis while others offer their services in their respective fields to multiple clients. When you work as a freelance consultant, you are able to use the network, expertise, and experience that you have built up over your career to enjoy a rich and rewarding part-time job during your retirement years. The median pay for a freelance consultant varies. In order to calculate what you should charge, divide your old salary by the number of hours that you work to arrive at your baseline amount. Whether you want to get a part-time job to make your money stretch further, or you simply want to have a position that allows you to socialize with others, there are many types of jobs that are ideal for senior citizens. In addition to these five options, be sure to research others that might appeal to you and apply for the ones that will fit with your personal preferences the best.